Fee: $22/$18 members - includes an autographed copy of Eleanor Oliphant Is Completely Fine, refreshments from MKE Localicious, and admission to the sculpture garden. Come early to stroll the grounds. This event is now sold out. You may be interested in our next event with Jenna Blum, author of The Lost Family, August 9. 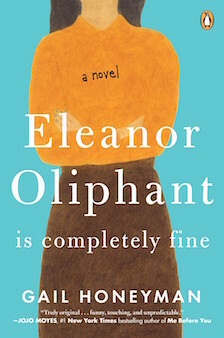 Lynden Sculpture Garden's Women's Speaker Series and Boswell Books welcome Gail Honeyman, author of Eleanor Oliphant Is Completely Fine, to the Lynden Sculpture Garden, Wednesday, June 6, 7 pm.